Color Rendering Index (maximum value = 100) is a measure of how well a given lamp reproduces colors of illuminated objects in comparison with a light source which is a reference point. It is assumed that the light source which is the reference point is ideal, but it is not always true. Color Rendering Index (CRI) of an ordinary light bulb equals 100. However, it does not mean that the lamp is a source of light which reproduces the colors perfectly. The bulb very poorly reproduces the color blue, which is easy to check, for example, by trying to distinguish between dark blue and black in a room illuminated by a light bulb. On the other hand, the light on a clear day with a color temperature of 7500K poorly reproduces the color red so it does not reproduce colors perfectly, either. Nevertheless, the Color Rendering Index for this light is 100. Color Rendering Index (CRI) is useful in determining the color, when used in accordance with its limitations. Originally, CRI was designed to compare light sources with the continuous spectrum for which CRI was above 90, because below 90 it is likely that there are two different light sources with the same CRI, however, reproducing the colors very differently. On the other hand, the colors of objects illuminated by light sources of CRI differing by 5 points may look the same. Technically, Color Rendering Index (CRI), can only be used to compare light sources of the same Correlated Color Temperature (CCT). In general, the higher the CRI, the better the light with high CRI (80-100) makes people and objects look better in comparison to the light of lower CRI. So why is CRI used since it has so many flaws? 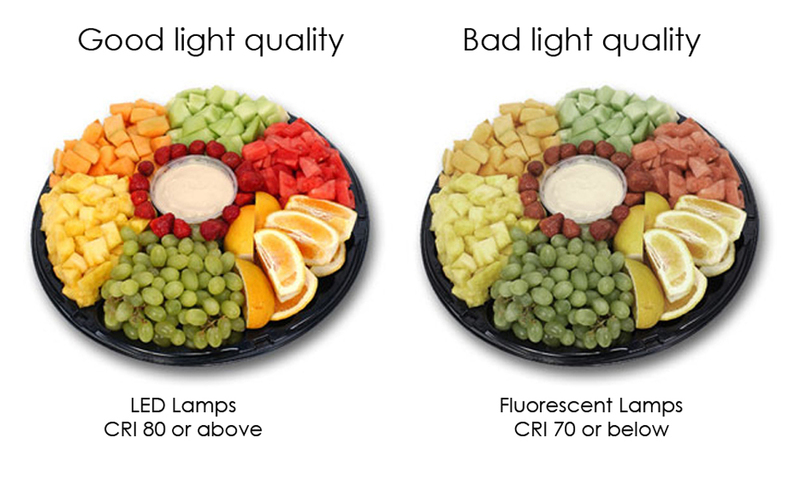 CRI is the only international system of color reproduction, which gives advice on sources of light. It will be used until a different, better system for specifying color reproduction through the light source is created.